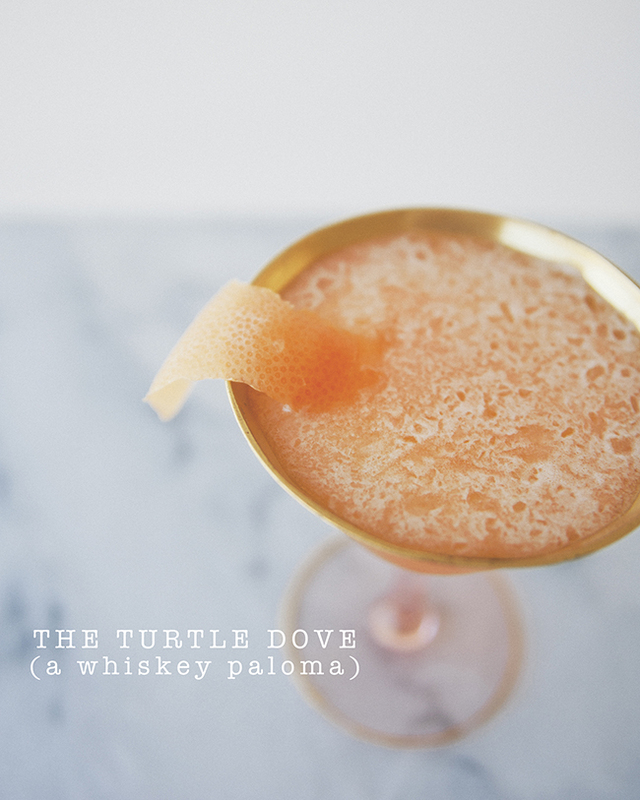 Inspired by the Paloma, which means dove in Spanish, I named this whiskey/grapefruit combination after a dove found in Kentucky – the turtle dove. 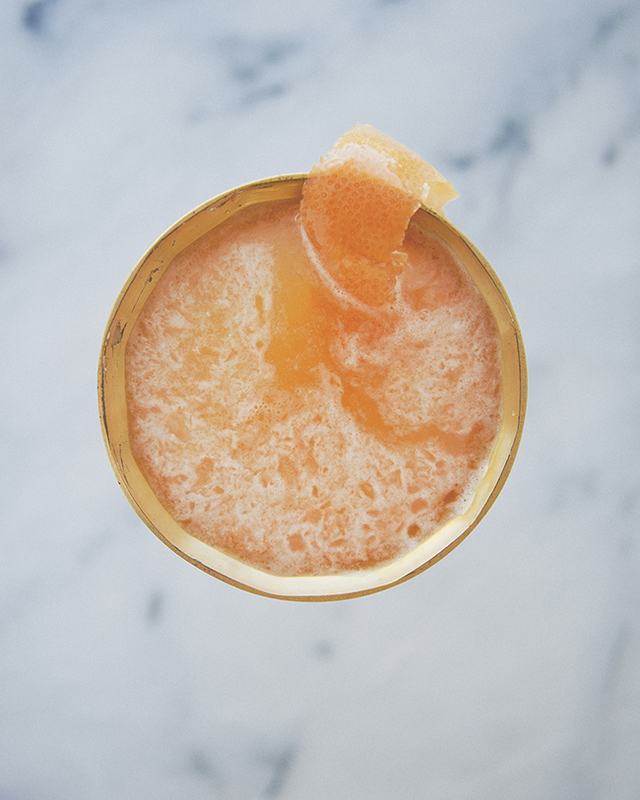 The bright and slightly bitter grapefruit juice is perfect with the slightly sweet and smokey whiskey. 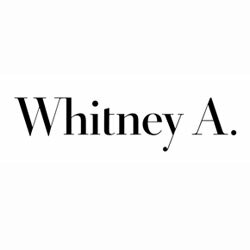 Combine all of the ingredients in a cocktail shaker. Top with lots of ice, pop on the lid, and shake vigorously for 15 seconds. 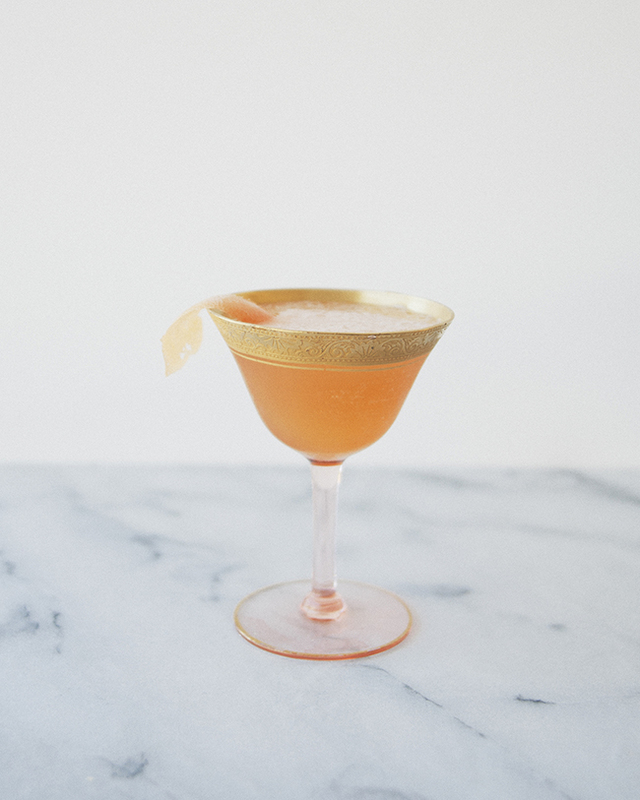 Strain into a glass and garnish with a grapefruit peel.